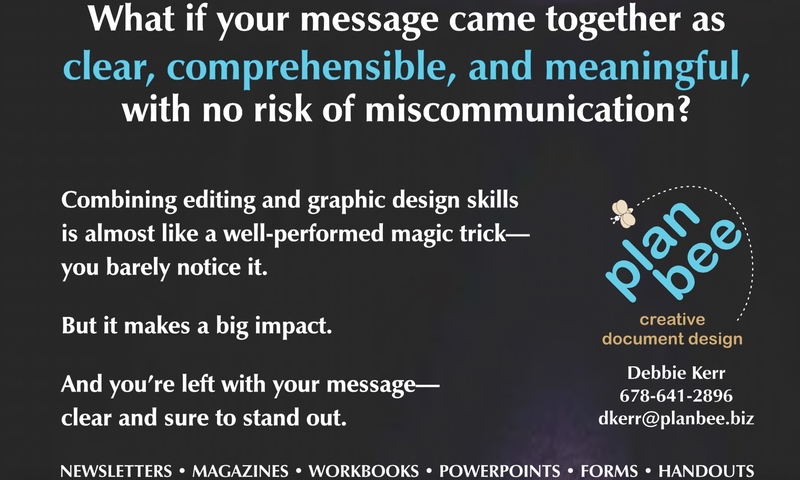 Document Design Sleight Of Hand. Do you struggle with creating documents? Document design can be tedious and frustrating if you’re not quite sure what you’re doing. Maybe you’ve spent hours lining up text in Word, then after making a small change everything shifts around and you can’t get it back to the way it was before. Or maybe you have a blank page at the end of the document. Why won’t it go away? That’s probably when you want to give up…but where do you find help? I’m the Document Diva and it’s my passion to combine text and graphics to create eye-catching and engaging documents, mostly in Microsoft Word. This way you can edit your materials whenever you choose. When your documents are appealing and informative, you’ll attract more clients, and showcase professionalism. There’s just no room for mediocrity when the competition is fierce. 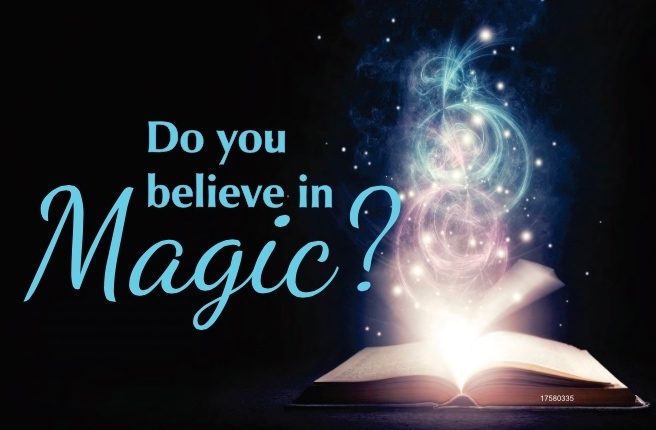 The impression you make on potential clients and colleagues is one that will last. 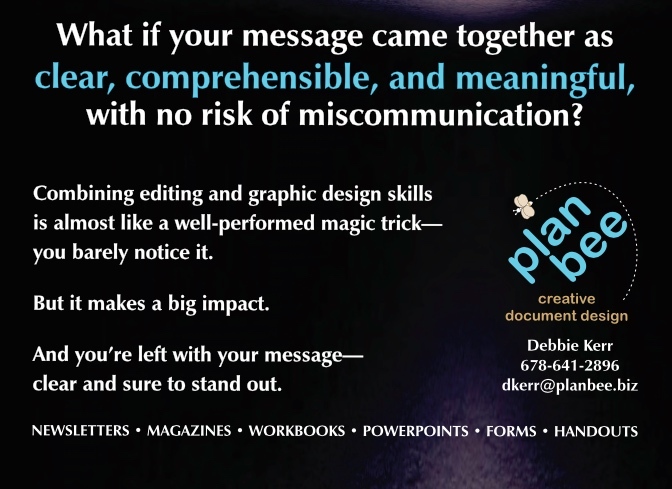 Gain credibility with marketing materials that are clear and concise so your message is not lost in your content. Isn’t it time you updated and polished your documents? 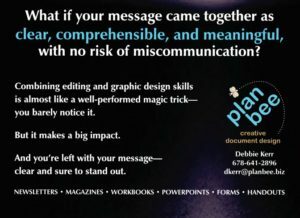 Contact Plan Bee for creative document design for your PowerPoint presentations, marketing collateral, brochures, handouts, fliers, workbooks, forms, newsletters and white papers. So no matter what your design needs are, Plan Bee is here to make it happen. Don’t waste another moment, call or email me NOW. Everyone has a book to write! Create and design documents of any kind: marketing collateral, handouts, PowerPoint presentations, newsletters, and brochures, including tables, charts, and graphics. Reviewing your book, website, or document from an objective, logical, and literal point of view ensures correct spelling, grammar, punctuation, concept, and flow. Your business, whether large or small, should have written procedures for every process to ensure they are done consistently and efficiently.